Established in the year 2001, "N.S.C. 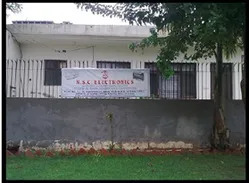 Electronics" are one of the prominent manufacturer and exporter of diversified range of Air Curtains and products like Ventilation Systems - Industrial Ventilation Systems, Air Ventilation Systems, PVC Strip Curtains, Fly Killers, Rat Repeller, Soap Dispenser, Shoe Shining Machine and Hand Dryer. Our ventilation systems and other electronic items are manufactured using quality raw material such as steel, aluminum and plastic that are sourced from the trustworthy vendors of Holland and Philippines. Moreover, these electronic items like ventilation systems are easy to install, durable and meet the requirements of clinics, auditoriums, offices and shopping complexes. With complete knowledge of our professionals about industrial ventilation systems, air ventilation systems and other electrical items enables us to develop new products like Industrial Air Curtains, Powder Coated Air Curtains, Stainless Steel Air Curtains, Aluminum Air Curtains, Vertical Air Curtains, Sensor Air Curtains, Filter Air Curtains, Custom Air Curtains, Super Sleek Air Curtains etc. This helps us in catering to varied requirements of our clients, situated all over the world. Our professionals work in sync with each to deliver products that are durable and are in line with set industry standards. We are involved in the fabrication and exporting of a wide range of diverse products. Our range comprises Air Curtains, Fly Killers, PVC Strip Curtains, Roof Ventilators, Hand Dryer, Soap Dispenser, Shoe Shining Machine and Rat Repeller. Our range is produced by using qualitative raw material namely steel, plastic, aluminum and others sourced from trustworthy vendors. Apart from the above mentioned products, we also manufacture Industrial Process Control Valves (Diaphragm, Cylinder and Electrical Operated with on, off and P.I.D type), Complete Temperature Control System with Control Valves and Static Electricity Removers (Static Eliminators). Our company has a dedicated team of skilled and experienced professionals having expertise in their respective fields. These professionals work with dedication, towards the advancement of our diverse range of products and company. 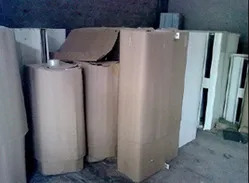 Their incessant effort to offer premium quality PVC Strip Curtains, Shoe Shining Machine, Rat Repeller and many more helps us in maintaining our present unmatched status in the industry. To improve their professional skill, we give them regular training. This assists in the efficient manufacturing of our range as per the parameters of the industry. Our diverse range is widely used in commercial as well as for residential purposes.